This entry was posted in Survivor and tagged survivor betting odds, survivor fans vs favorites, survivor season 26 on April 18, 2013 by Bryan. Survivor contestants entered into their twentieth day on the Caramoan Island this week. The Wednesday night episode picked up from where last week left off after the dismissal of Julia with the exciting new merge of the two tribes. 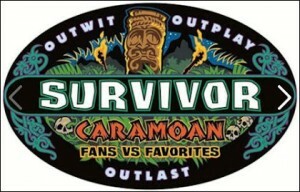 This entry was posted in Survivor and tagged survivor betting odds, survivor fans vs favorites on April 4, 2013 by Bryan.